I believe you are looking for a reliable Tron (TRX) Wallet. And why not also when cryptocurrencies like Tron can worth so much more, that too in a day or so. That’s why safeguarding your cryptocurrencies under your custody is so much important. But yet some amateur investors lose a lot of money by not having custody of their cryptocurrencies. If you are planning to buy Tron or already have TRX crypto, you should consider storing them in a secure Tron wallet. Tron is an Ethereum’s competitor aiming to build a decentralized web, and that’s why like Ethereum, it could also skyrocket in price. Keeping that in thought, I am going to share a comprehensive list of Tron wallets on which you can bank on to securely store your Tron cryptocurrency. Seriously Ledger Nano S is the best cryptocurrency wallet you can have. It offers the hardware level security and supports a plethora of coins/tokens including Tron cryptocurrency. Moreover, it is a small flash drive like device with an OLED screen on it through which you always control your private keys. With Ledger Nano S, you also get the latest firmware updates and new Ledger Live app for free, to experience the impressive usability of this wallet. Recently, Ledger Nano S started supporting Tron, and now you can store/manage your TRX through the Tronscan desktop app (developed by Tron community) directly on Ledger Nano S device. But don’t worry just like other currencies your Tron private keys will always remain on the device and you will be able to access/interact with your funds on the Tronscan app. Check out this official guide by Tron on how to use Ledger Nano S with the Tronscan desktop wallet. Trust wallet as its name goes can be trusted for your Tron cryptocurrency. It is one of the most thoroughly developed mobile wallet for cryptocurrencies and got recently acquired by Binance. With Trust wallet, you can secure Bitcoin, Ethereum, ERC20, ERC223 tokens and now Tron also. You need not worry about your security while using Trust wallet because you are in always control of your funds with the seed that’s generated during initial setup. Plus with this HD multi-currency wallet you get a Web3 browser also that allows you to interact with decentralized applications (DApp) directly from the app. Currently, Trust wallet supports both Android and iOS versions for storing TRX. Atomic Tron (TRX) wallet is a multi-currency wallet to manage your TRX, Bitcoin, Ethereum, XRP, Litecoin and over 300 coins/tokens in a single interface. It is HD desktop wallet where you are in charge of your funds as you get a seed to safeguard them, so you remain in control of your private keys always. 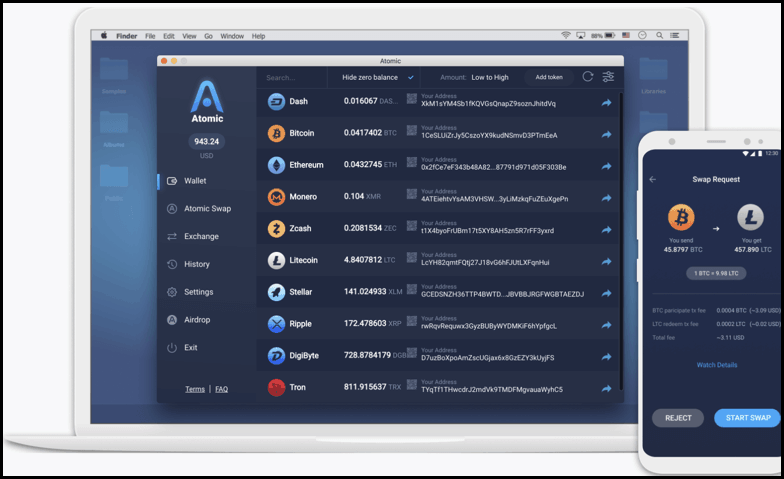 Plus with the Atomic wallet, you can swap from one currency to another in a decentralized manner using the atomic swap technology. And for coins yet not supported by Atomic swaps you can use their inbuilt exchange service powered by Changelly & ShapeShift. As of now, Atomic Wallet is available for all major operating systems such as Windows, Mac, Linux, Fedora, and Debian. Cobo wallet is another multi-currency HD wallet that supports several cryptocurrencies including Tron. Cobo wallet is available for both iOS and Android users, so neither of the users should worry about the security of their TRX. Plus with Cobo wallet, you receive HSM bank-level security and control your assets as you always control your seed here. There is no registration or KYC to get started with Cobo wallet so rest assured with your privacy concerns also. Lastly, Cobo wallet pioneers Proof of Stake (PoS) and masternode pooling in the app itself helping you manage and earn cryptocurrencies. Exodus- the famous multi-currency desktop wallet has started supporting Tron. Exodus is a very intuitive desktop-only wallet for storing and managing your cryptocurrencies. For using Exodus, you need not sign-up anywhere or go through a KYC check. Instead, you can just get started by noting down you seed words and get access to your wallet. Keeping this seed is of high-importance as Exodus doesn’t keep any backups for this and thus you always remain in control of your funds. I have been using Exodus from day one, and it hasn’t disappointed me a bit also. 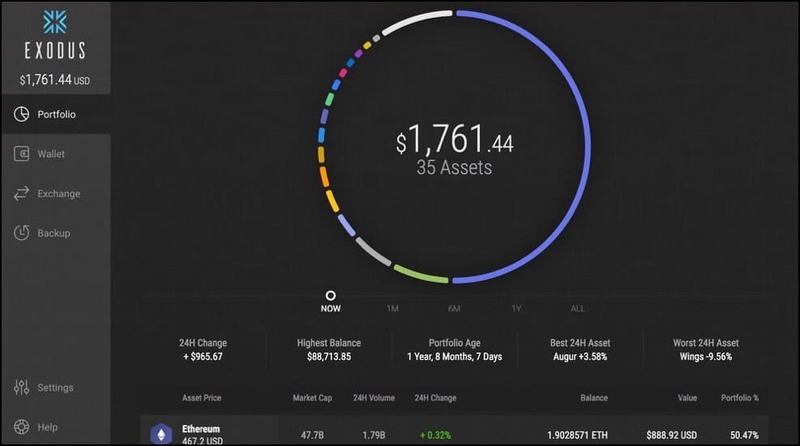 The wallet is being developed by care and concentration by its developers so you can relax and use Exodus wallet for Tron. Currently, Exodus is available for all operating systems such as Linux, Mac, Windows. Tron wallet is the official Tron wallet for Android users. So Tron holders who were looking for a reliable wallet to store their TRX should relax now because this is one of the best Tron wallets developed in-house by Tron. You can rest assured for the security of your funds, as it creates a 24 words recovery phrase that only you control. Plus it is a Tron-only wallet designed specifically for storing Tron, so don’t send other tokens in this wallet. 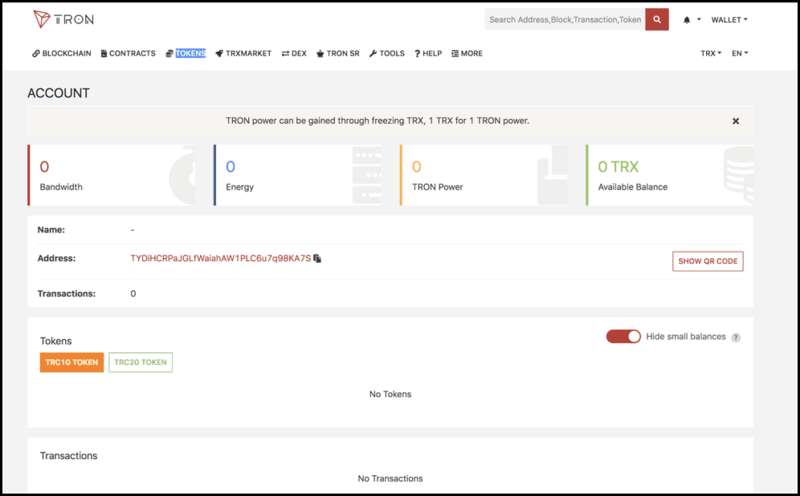 With this wallet, you get access to Tron explorer as well as you can import other TRX private keys to this wallet to control your Tron coins. Tonscan is a popular web wallet to store TRX. It is a non-custodial wallet and requires you choose a strong password to set up your wallet. These private keys and your password are integral to access your wallet without which even Tron Foundation cannot help you restore your funds. Lastly, it is web wallet so it can be accessed through any device, but you are required to be alert so that you don’t get pished. TronWallet is a secure p2p crypto wallet and exchange for TRON users. TronWallet is officially supported by TRON Foundation through TRON Accelerator and is their recommended wallet. With TronWallet you get beautiful UX design without compromising its top-notch security as you always are in control of your private keys. You can also make several TronWallets for free and freeze/vote for super representatives using this Tron wallet. 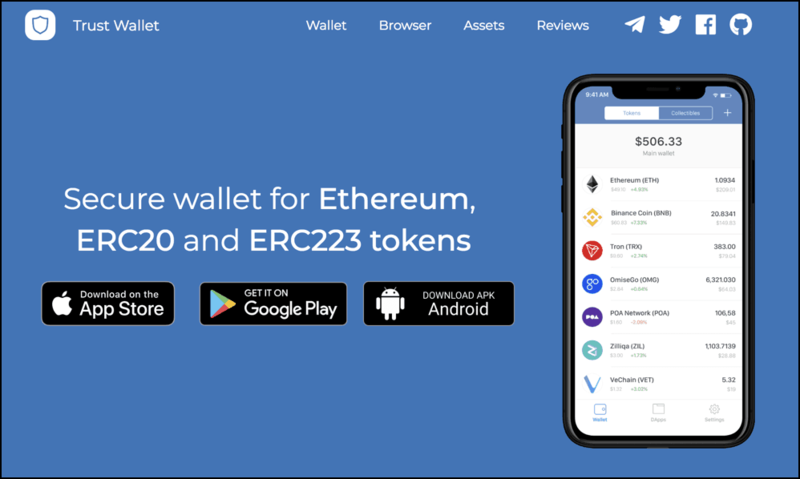 Lastly, this is the only official wallet that is available for both iOS and Android users. Lastly, I have kept Wallet.io because it is for those guys who don’t need the headache of handling their private keys or seed. With this wallet, you will not be holding your Tron keys, but it doesn’t mean that this wallet is not good, but I would say a bit more susceptible to attacks. Wallet.io, a secure and straightforward on chain wallet where you can secure hundreds of mainstream tokens including Tron. Plus with this wallet, you can directly login to your Gate.io account as well as it is a hot wallet developed by Gate.io exchange. Securing Tron is not something special. Like other cryptocurrencies, Tron also needs to be stored offline for enhanced security. Plus avoiding web wallets or hosted wallets is the easiest way to do so. Not saving your private keys or seed on digital files or devices. Use anti-viruses/malware to be more secure. So if you are doing all these things and using the wallets that we have been recommending after a thorough review will help you secure Tron smartly. Now you turn: To tell us about this Tron wallet list, did you liked it? Did we miss any significant brand of wallet here? Tell us in the comments below and do share this with your network ! !